Gender parity might not be a new topic but its significance in business is rising. 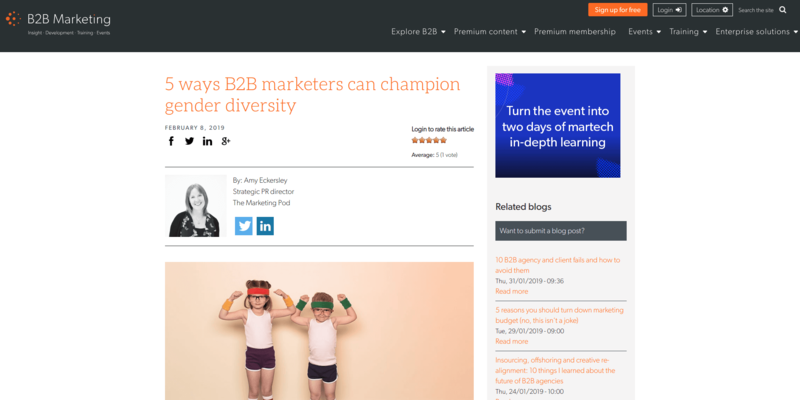 In this article Amy Eckersley of The Marketing Pod explains 5 ways B2B marketers can propel diversity within their company. A busy sales pipeline is great, but it only if it is filled with genuine opportunities that will actually convert into sales, says Yvonne Deegan. 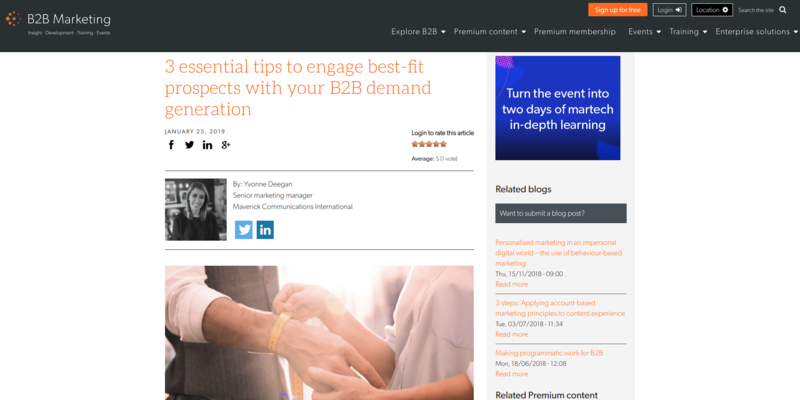 She shares three key steps to ensure your demand generation plan can engage the awareness and attention of best-fit prospects. 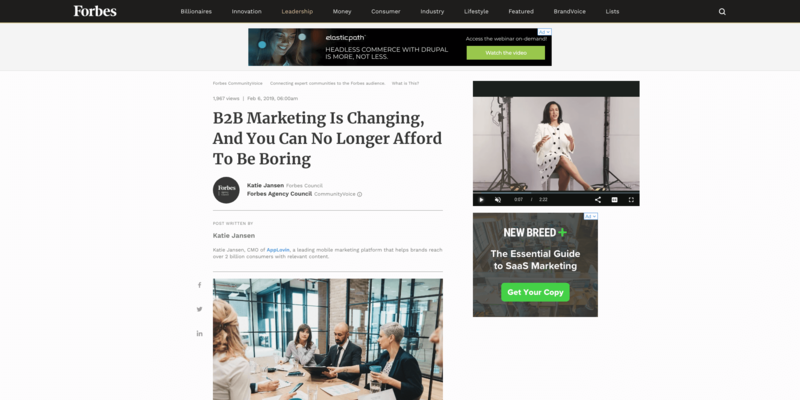 While business to business (B2B) branding has a reputation for being boring, more companies are taking creative cues from business to consumer branding (B2C). The fact is, we can no longer afford for our marketing to be boring. Katie Jansen shares the reasons why B2B marketers get to have a little more fun. 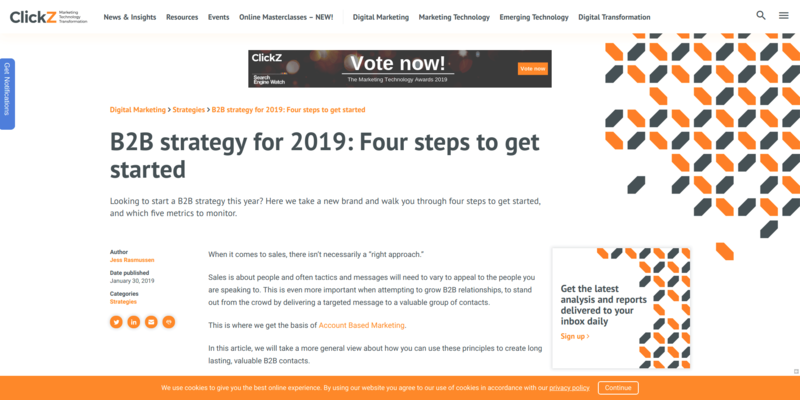 In this article Phillip Alexeev provides a guide, based on his experience working with many rapid-growth B2B organizations. 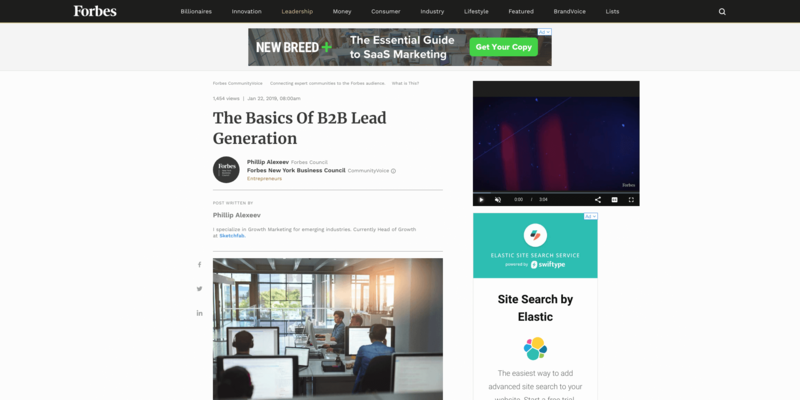 It outlines lead generation best practices to help businesses build the foundation for and improve upon their lead generation efforts. Sales are about people and often tactics and messages will need to vary to appeal to the people you are speaking to. This is even more important when attempting to grow B2B relationships, to stand out from the crowd by delivering a targeted message to a valuable group of contacts. 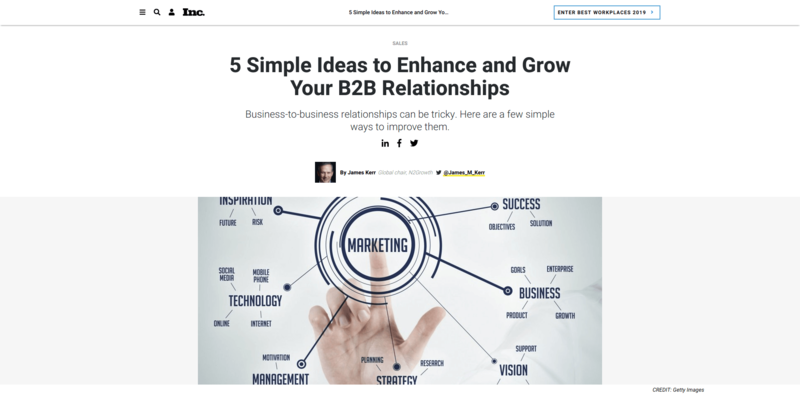 Jess Rasmussen points out four principles to create long-lasting, valuable B2B contacts. These days, more than ever, engagement is key to digital marketing. Algorithms reward engagement and interactions, audiences are more likely to see and respond to content based on engagement. 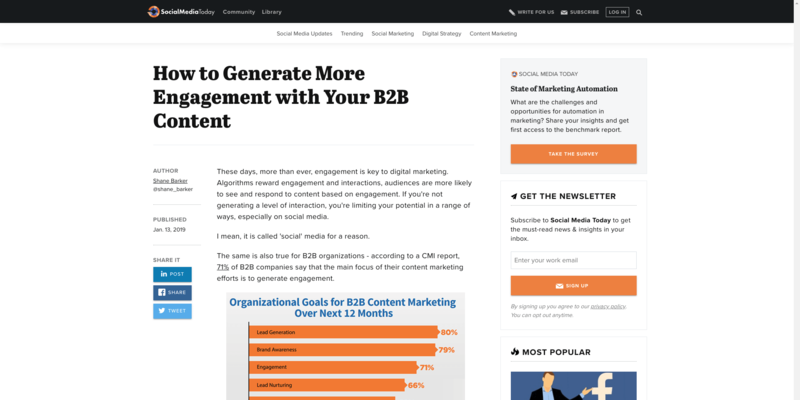 In this article Shane Barker outlines some effective ways to generate more engagement to your B2B content, and help boost your broader marketing efforts. In this day and age, business-to-business relationships hold a key to success for many enterprises. However, many B2B relationships are fraught with challenges. James Kerr provides 5 simple ways to improve them. In order to remain competitive, your firm must constantly assess your B2B marketing strategies and find ways to improve. 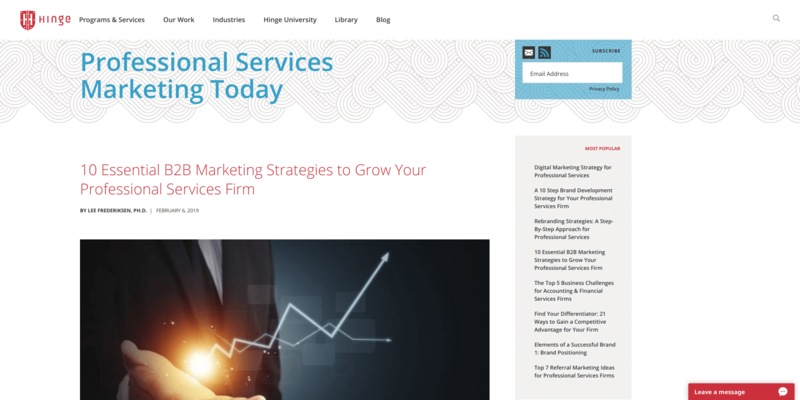 Lee Frederiksen shares ten absolutely fundamental B2B marketing strategies that will not only help your firm keep up, but help you get ahead.